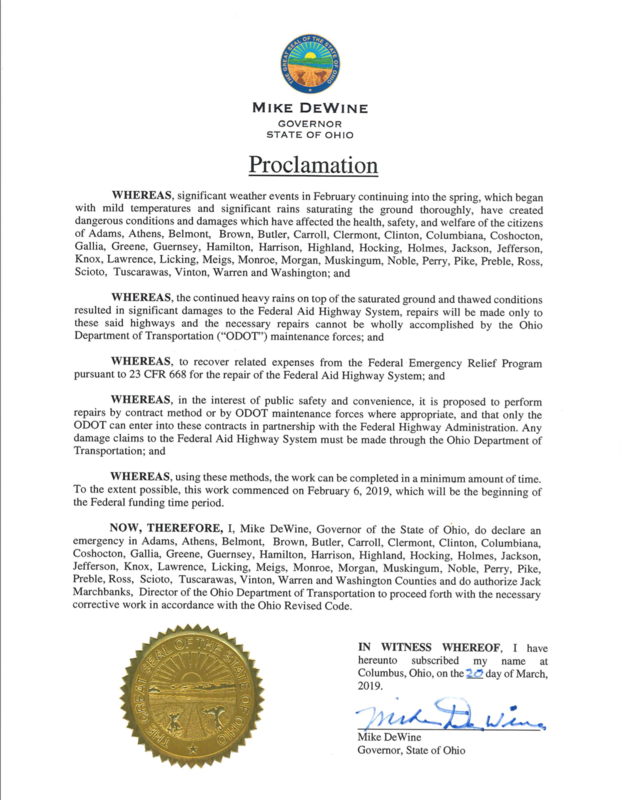 (COLUMBUS, Ohio)— Ohio Governor Mike DeWine today declared a state of emergency in 37 Ohio counties that suffered serious highway damage following severe weather that started in February. The emergency proclamation will allow the Ohio Department of Transportation and local governments to access federal emergency relief funds. All 37 counties declared today have suffered damage to roads and/or bridges from the severe weather. Some roadways still have lane restrictions or are closed completely. “Many of these roads are in dangerous condition, impacting the safety of Ohio’s drivers. 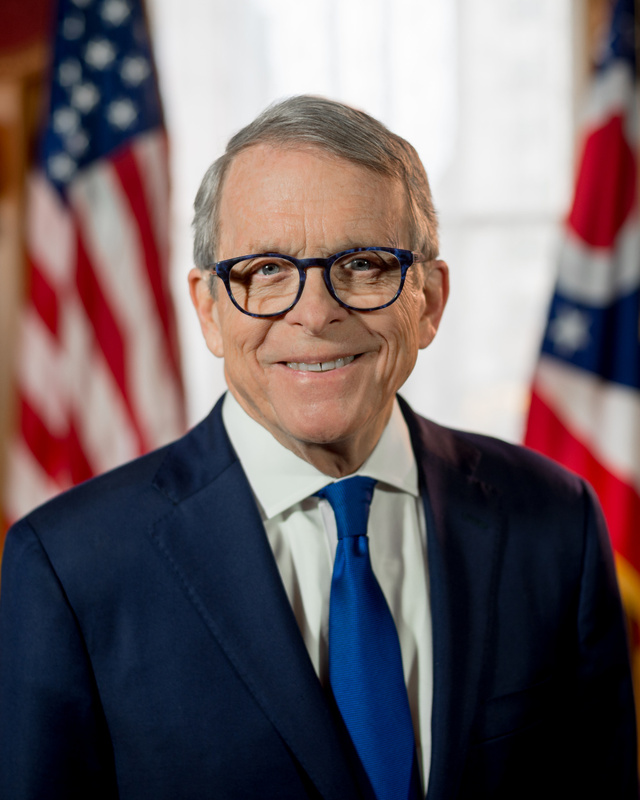 By declaring a state of emergency, Ohio can now access federal funding to help with the unplanned costs to repair the highways damaged by heavy rain and flooding,” said Governor DeWine. Ohio counties included in Governor DeWine’s emergency proclamation include: Adams, Athens, Belmont, Brown, Butler, Carroll, Clermont, Clinton, Columbiana, Coshocton, Gallia, Greene, Guernsey, Hamilton, Harrison, Highland, Hocking, Holmes, Jackson, Jefferson, Knox, Lawrence, Licking, Meigs, Monroe, Morgan, Muskingum, Noble, Perry, Pike, Preble, Ross, Scioto, Tuscarawas, Vinton, Warren, and Washington.